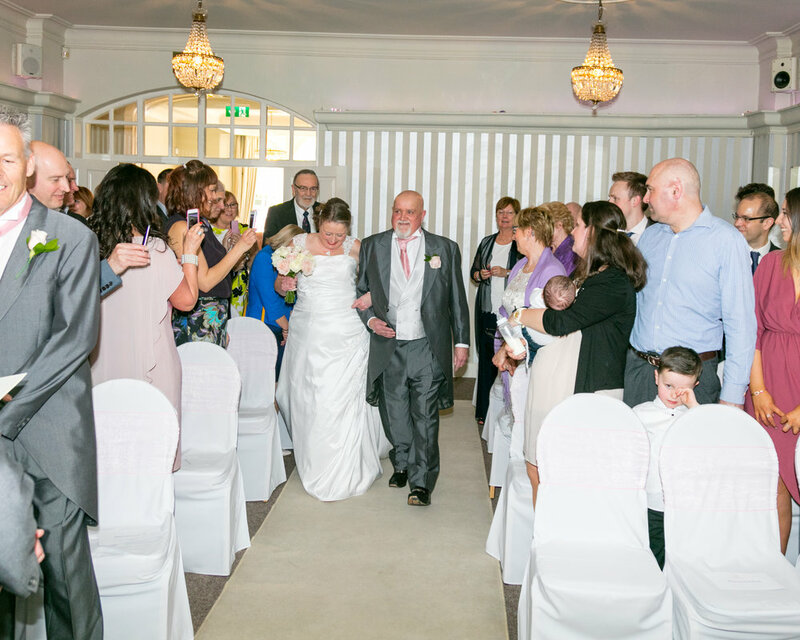 On the 31st March, I provided the wedding photography for Jon and Corrie at Warwick House wedding venue in Southam, Warwickshire. 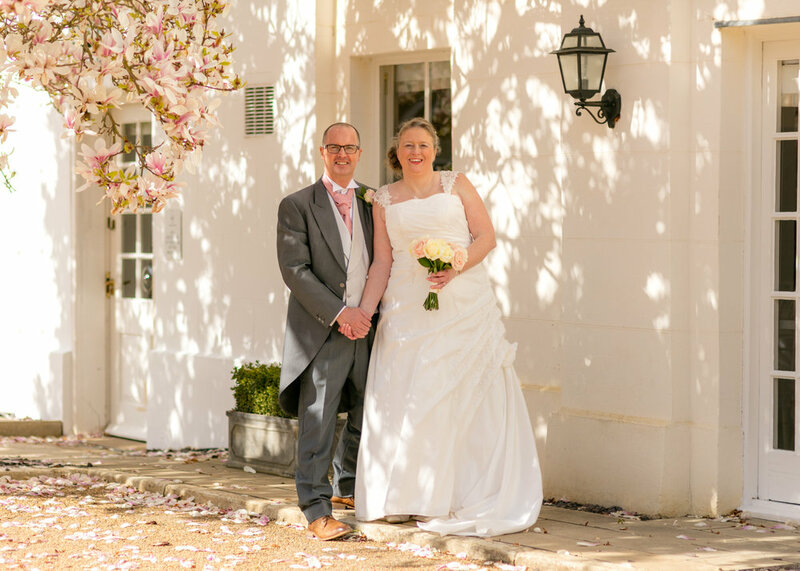 Jon and Corrie had approached me because I have been to Warwick House a few times as a wedding photographer I was able to be flexible in the wedding photography coverage offered and they liked my work. I have been a wedding photographer now for eight years although my business is not purely wedding photography, it does mean that all the experience I have learnt from the various types photography that I do and my equipment is used to the full when I do weddings. On the wedding day itself, the weather was changeable so it was decided to have the wedding inside the venue the preference was outside but it wasn't realistic because of the wet ground, unfortunately. When I arrived I started by photographing the guests arriving up until the service and into service itself, I like to stand back and capture the events as they unfold at this stage. Once the wedding service at finished we headed outside for more reportage style wedding photography then onto the gardens at the back of the venue for the groups and the portraits of Jon and Corrie. Then on our way back around to the front of the building, I was able to capture some relaxed portraits under a tree, with the low sun and the white washed frontage to the building the images had a Mediterranean feeling to them. All in all, it was a great wedding from my perspective a couple of hours flat out from which I delivered 170 edited images supplied copyright free for Jon and Corrie's use.